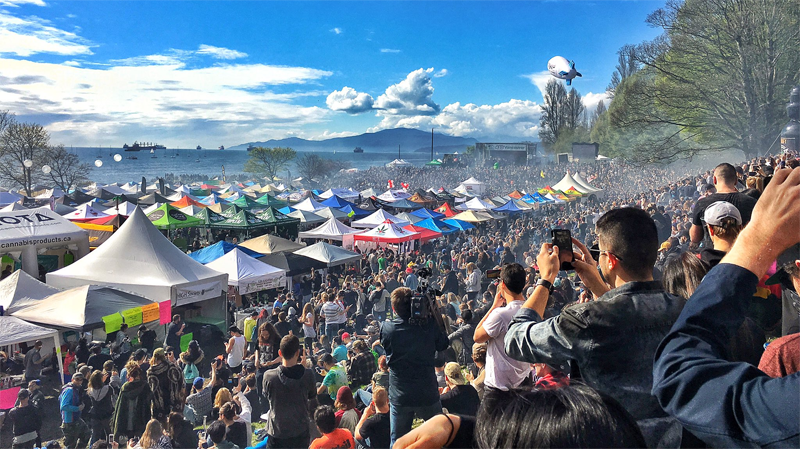 There are calls from park board officials to cancel a concert scheduled during Vancouver's upcoming 4/20 marijuana rally following criticism from the organizers of events including the April 14 Sun Run. The issue is all about the cost to taxpayers, with events such as the run paying their own way while 4/20 leaves behind a big bill for the public to pick up. Hopkins said his event pays for using Stanley Park as well as the Vancouver Police Department’s Services. According to the city, the organizers of 4/20 rallies don’t do the same. In 2017, 4/20 cost taxpayers a whopping $245,000 in policing and pickup. That number was about the same last year, and the city officials say organizers only paid back about $63,000 of that money. This year’s 4/20 will be held at Sunset Beach and the event could be larger than ever with a Cypress Hill concert expected to draw in fans. But organizers who still say the gathering is a protest are facing questions now that recreational pot use is legal. Vancouver City Council is trying to move the event away from Sunset Beach by 2020. Mayor Kennedy Stewart also wants to see it called something else. “What I’m really hoping is the 4/20 – what was originally deemed a protest – will eventually turn into a trade show,” he said. The Vancouver Park Board is even planning to introduce a motion Monday with a plan to push 4/20 organizers to cancel the concert. The board added that while it knowns protesters might show up anyway, it wants to take the lead on trying to get the event out of the park. 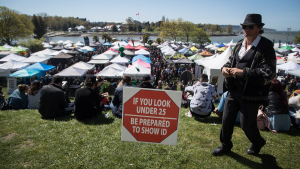 While the city, the park board and many other events its size are refusing to acknowledge 4/20 as a protest, the event’s organizers say that until they have been given an event licence, nothing will change. “We would love equality with all the other events in the city, so give us a permit and it won’t be a protest,” Emery said. Will 4/20 event be moved out of downtown Vancouver?